Windows 10 offers a wide variety of awesome apps that can really increase both productivity and your sanity, especially when it comes to emails. Of course, there are hundreds of ‘Best Email Clients’, that claim to achieve just this goal. We’ve compiled a comprehensive list of the cream of the crop – “Best Windows 10 Email Clients“. Stop banging your head against the keyboard in frustration, and install one of these Windows 10 apps that work best for you! What are the Best Windows 10 Email Clients? We can’t create a list of the best Windows 10 email clients without including ourselves! ;-) Mailbird stands out amongst other email clients in a number of ways. Productivity is a huge issue for a lot of companies, and email can feel like fuel on an already raging fire. Features such as attachment search, profile picture search, and a quick action bar drastically reduce the amount of time you spend finding old documents or emails. Unified Inbox is the favorite feature and main reason for many email ninjas to use Mailbird. All of your accounts will populate in one unified inbox. This feature is an absolute must for people that are managing multiple email accounts. The color indicator feature will help you tell immediately what account the email was sent to without even having to open the email first. 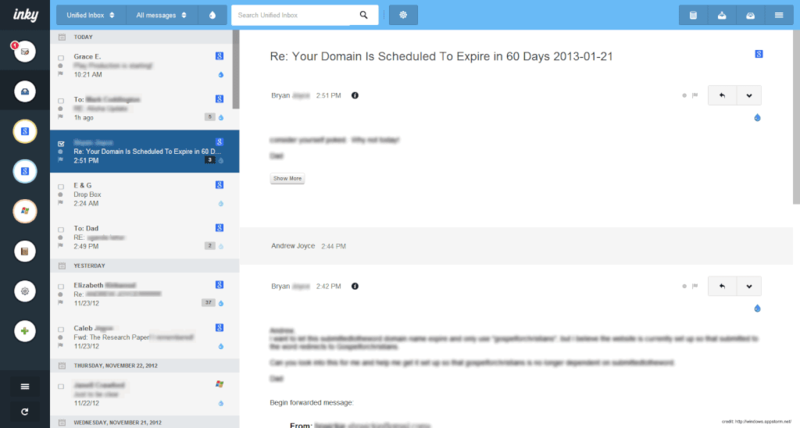 From there, customizing the look of the email client is up to you. You can change the background image, message sound, theme color, welcome messages, choose a vertical or horizontal layout, and even activate a dark mode! In order to be fully happy with an app, you need to be able to integrate a variety of other applications. Luckily, Mailbird has no shortage of popular app integrations. 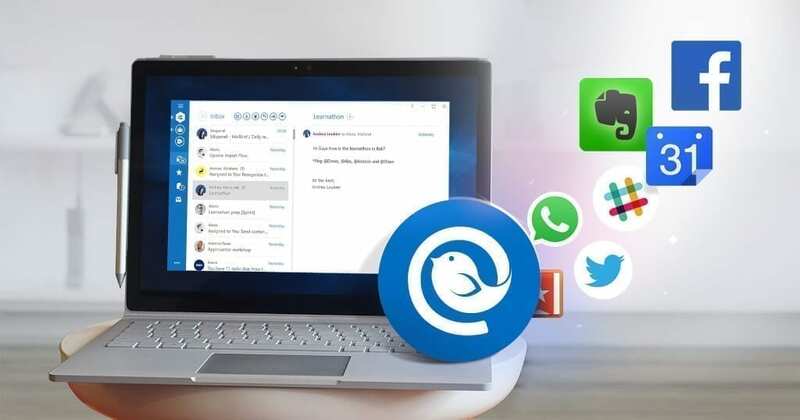 Social media such as Facebook and Twitter, Google Cal and Google Drive, as well as communication apps such as WhatsApp and WeChat are all available integrations for your convenience. This is only a small list–there are many more to explore! **Update** We launched our new Contacts Manager with Contacts Sync. Not only are you able to sync your contacts from any account, they are also unified! We have combined the best features and attributes from all Contacts Managers out there and unified them in Mailbird. You can drag&drop your contacts where needed. The edits and details will be applied and synced to ALL your accounts. Mozilla’s very own email client is not only still around, it’s alive and well. 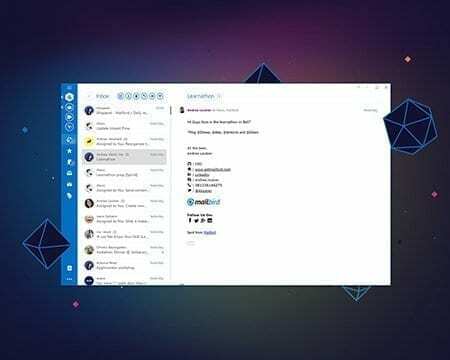 It’s been popular and considered one of the best Windows 10 email clients for years because it’s a very functional application. An appealing aspect that many users adore, surrounds the fact that it runs so smoothly. In the off chance it’s not functioning well, there are plenty of tips and tricks to fix just about any bug on your own. Thunderbird offers a few other stand-out features. It’s one of the only programs that allows you to extend the size of the window, much in the way you would with a web browser–making it ideal for those who enjoy a wide-screen monitor. An extremely powerful spam filter keeps out unnecessary junk mail. 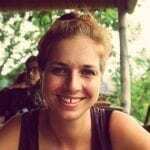 If you require an RSS feed, you may integrate that, as well. More than likely, if you’ve thought of an extension, it probably exists in Thunderbird. 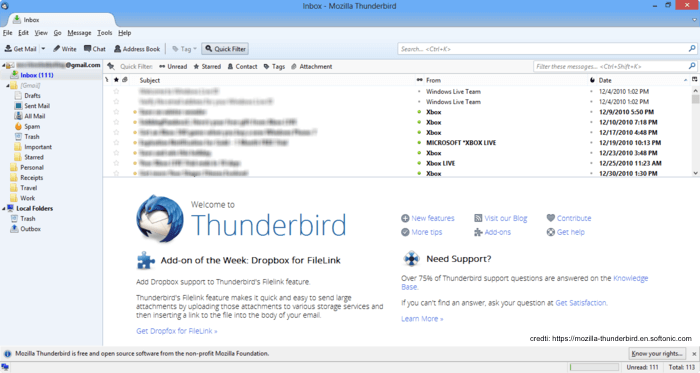 Unfortunately, Thunderbird is not being developed and updated anymore. Therefore, the UI is perceived as rather cluttered and not very intuitive by many users. Simplicity is key, especially when it comes to choosing from the best Windows 10 email clients. Inky does a great job at creating a straightforward, easy user experience. It offers a variety of features you are used to in a unified inbox app. After you download it, you connect your accounts from platforms such as Gmail, Outlook (Hotmail), Google Apps, and Yahoo. The process is streamlined significantly, by the fact the majority of the account information auto-fills just, similar to the installation steps in Mailbird. Just like in most of the other Windows 10 email clients, Inky lets you add as many accounts as you’d like. If you are not into using the unified inbox option, checking each account individually is easy. Features such as “social”, “daily deals”, and “subscriptions” can provide a Smart View for categorizing the various types of emails that enter your inbox. You hold the power to completely customize your user interface. As emails come in, Inky will rank them with a color-coded system. Dark blue is the most relevant, while light blue is the least relevant. Of course, it can mismark emails, so you have the ability to teach it which ones are the most relevant to you. Keeping your interface exactly as you please is a big facet of Inky’s success. The big behemoth that most people know: Microsoft Office Outlook. It’s an all-in-one productivity booster, organizational tool, calendar, and email client. A basic version comes with a whopping seven gigs, and doesn’t limit the size of your attachments. Say goodbye to zip files! One of Outlook’s best features is its many integrations, including Exchange support for smartphones and tablets. This allows you to use the app both on your computer, and on-the-go. Since the email client is owned by Microsoft, you can chat directly from your inbox via Skype. Outlook is, just like the other Windows 10 email clients, dedicated to making your entire life easier, including social media. It allows you to link up accounts such as Google Plus, Twitter and LinkedIn. It will provide you with a feed without leaving the program! Outlook is interested in keeping your account safe, and boasts a 97% spam blocking rate. All the above-mentioned features, still don’t necessarily justify the price for most of the users. 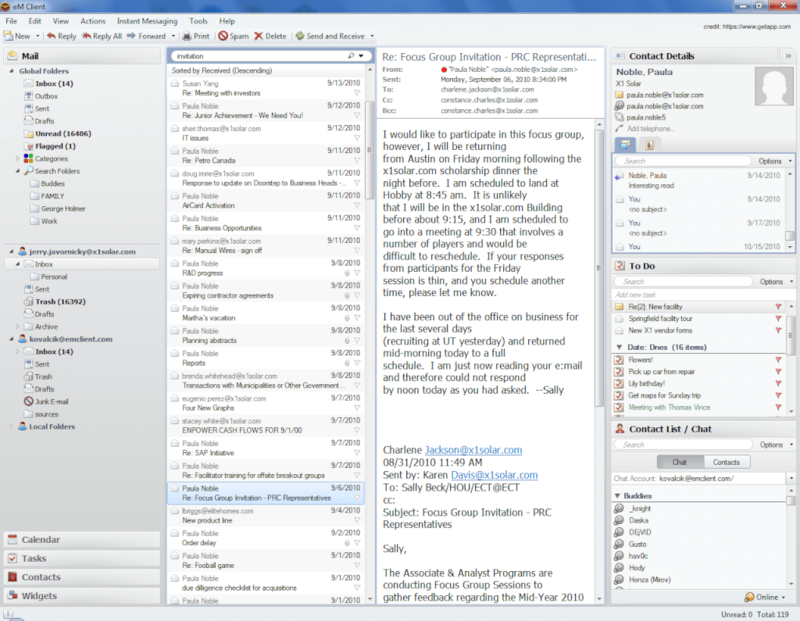 Similar to Thunderbird, Outlook’s UI feels rather cluttered and outdated for many users. 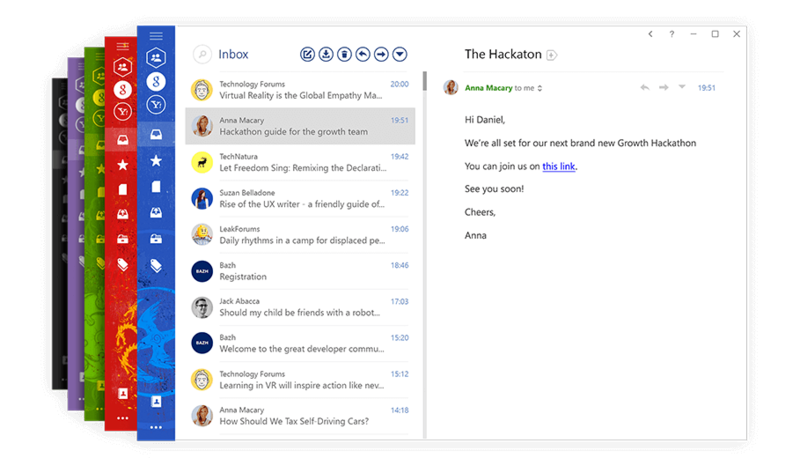 This email client has a lot of the same feel as Outlook–without the price tag. It behaves in a typical multi-account manner. eM Client differs in that it’s very customizable, and offers a variety of color schemes and styles. At its basic level, you have the ability to link two accounts. With the “Pro” upgrade, you can add as many other accounts as you please! If you choose to participate in its paid exchange services, you’ll receive a few additional bonuses. Those include phone support and unlimited accounts. 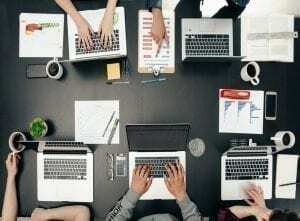 This service syncs all emails between your PC, laptop, and any mobile devices. 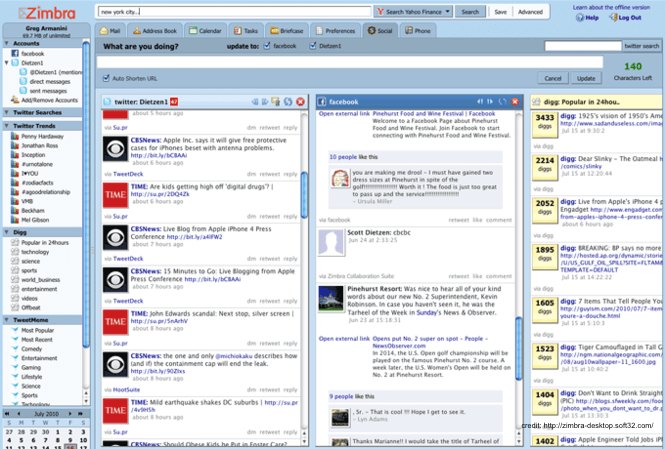 Popular IMing platforms such as jabber, Yahoo, and Skype fit in very neatly with the built-in chat feature. 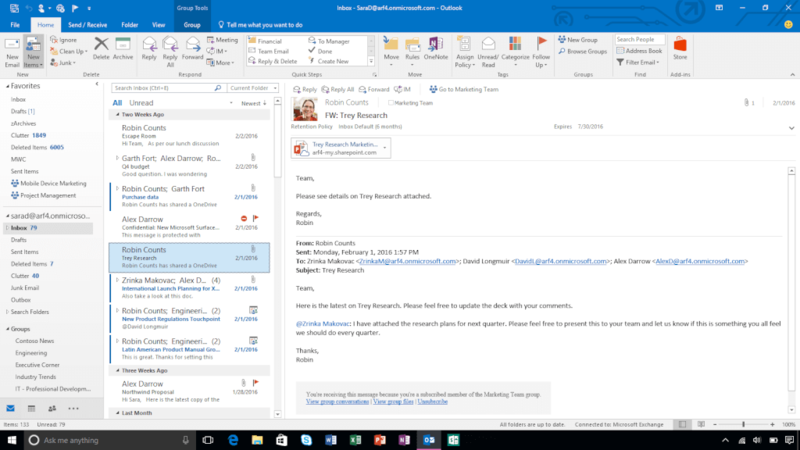 It also includes many of the awesome productivity features Outlook offers, such as tasks, calendar, contacts, and junk mail filtering. Plus, it boasts additional features, like a bar that opens all previous communications between yourself and your current email contact. Much like Em Client, Zimbra has a lot of the same functionality as Outlook. Some of the similarities include a calendar, contact manager, and email client. It integrates Gmail, Hotmail, Microsoft Exchange, and both IMAP and POP syncing. Social media is a prominent feature, as well, and will show various feeds like Twitter. Similar to Mailbird’s Unified Inbox, you can view your multiple accounts in a single inbox, or as individual inboxes. Any email you receive is single or threaded. It gives you the ability to color code, filter and tag like other email clients. Zimbra on the other hand has a more user-friendly feel to it. Moreover, it integrates well with your mobile devices, and reflects mobile changes to your contacts on the desktop version.  While not specifically for multiple email accounts, it’s a productivity booster worth noting. Email can be a phenomenal tool, but we often abuse it as users. Hiri was created on this premise and is in search of a way to “fix” this behavior. The vast majority of messages that arrive in your work inbox are thoughtless and seemingly without purpose. With this in mind, you can rate each message, which sets your email analytics. At the end of each week you’ll receive a score based on this feedback. There is an Outlook extension available if you’d like to integrate it with another app. It really sheds light on your email behaviors and can be a base for breaking bad electronic communication habits. Ultimately, deciding on the ‘Best Windows App’ for yourself really comes down to personal preference. There is a slew of programs to choose from, which all claim to be the best Windows 10 email client. One way to tackle the big decision is to write up a list of the most important features to you personally. Eliminate any programs that don’t have these essentials, and narrow your search from there. Email doesn’t have to be the bane of your existence–up your productivity and electronic happiness today! Any app you would like to add to the list above? Let us know in the comment section below. Editor’s Note: This post was originally published in February 2017 and 2018 and has been revamped and updated for accuracy.